Khriz y Angel are ?ngel Rivera Guzm?n and Chr?stian Col?n, a reggaeton duo from Puerto Rico. They work largely with Luny Tunes. They were introduced in 2002 in the CD MVP, by Hector 'El Bambino' with the song "Casando Voy". Los MVP's is Khriz Y Angel's own CD where they present the listener to soulful hits like Ven Bailalo and Te Quiero Ver Hoy, as well as De Caseria featuring Divino and the up beat Ram Pa Pan Pan. In the year 2005, they have come up with the songs "Fua", "De Lao A Lao" (bachata and merengue reggaeton versions), and "Mazacotte". 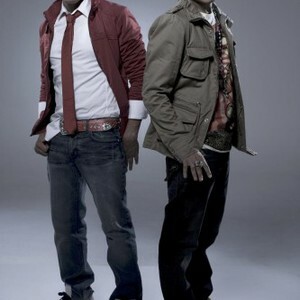 They have been compared to artists like Daddy Yankee, Don Omar, and Wisin y Yandel in terms of fame.